Yet, I would argue that this is only one of many possible interpretations of the Jewish tradition with relation to life extension, and interpretations other than Kass’s may be both better grounded in Jewish sources and more beneficial for individual and social well-being. In fact, the pursuit of life extension, and even radical life extension, has strong roots in the Jewish religious tradition, insofar as in Judaism, human life has been an absolute and supreme value. The value of human life is illustrated by the saying that “whosoever preserves a single soul [any soul, according to most manuscript versions of the Talmud], scripture ascribes merit to him as though he had preserved a complete world” (Talmud – Masechet Sanhedrin 37a). The only exceptional cases, in which a person is said to be obliged to sacrifice one’s life, but not transgress, are: idolatry, forbidden sexual practices, and murder. Yet, in some attenuating circumstances and according to some Rabbis, even the former two prohibitions can be excused to preserve life. In contrast, murder of innocent people (for example to use their body parts to sustain one’s life) is prohibited under any circumstances, as it contradicts the very principle of the preservation of life (to be distinguished from the killing of an aggressor in self defense which is permitted). Moreover, the Talmud equates between evil, Satan and death: “Satan, the evil prompter, and the Angel of Death are all one” (Talmud – Baba Bathra 16a). According to the Talmud, “the sins will cease” but not “the sinners.”6 That is to say, human sins need to be eliminated, but not people who commit the sins; the people need to keep on living. All these concepts are directly supportive of life-extension, insofar as life-preservation, life-saving and life-extension are logical equivalents. Mortality, the main tragedy of the Fall, was not the original and inexorable destiny of humankind (Genesis 3:17-24). The extreme longevity of antediluvian patriarchs is admired, ranging from 365 years for Enoch to 969 years for Methuselah (Genesis 5:1-32). According to the Talmud, “Until Abraham there was no [signs of] old age” (Talmud – Masechet Sanhedrin 107b). In the Torah, longevity is the main prize for observing the commandments (without a direct mentioning of an afterlife – Exodus 20:12, Leviticus 26:3, Deuteronomy 5:33). In other books of the Tanakh (Torah, Neviim, Ketuvim – Torah, Prophets and Writings – the corpus of what has been sometimes called “The Old Testament”), the prophet Elijah attained physical immortality (the ascension in the chariot of fire – 2 Kings 2:11). King David (conventionally dated c. 1040-970 BCE) practiced rejuvenation (by proximity to young maidens – 1 Kings 1:1-4). These examples may appear far-reaching, mystical and mythical, yet they demonstrate that in the Jewish intellectual tradition (as in many others), the pursuit of life does not seem to have any limits. Essentially, the preservation of life is not something just to pray for, but to work for. There is a work by Maimonides – “The Responsum on Longevity” – which is definitive of the pro-active principle for the prolongation of life. Maimonides believed that there is no predetermined limit to human life, and therefore efforts toward the prolongation of life are justified. Indeed this passage does not explicitly speak of immortality, but only implies the possibility of indefinite life extension. Elsewhere in the Jewish oral tradition, the concept of potential physical immortality is explicit. There is even foreshadowing of regenerative biotechnology. Thus, for example, there is an extensive Jewish oral tradition about the “Etzem Luz” – עצם לוז – the bone of resurrection, the indestructible part of the human body from which the resurrection will proceed. “Luz” (almond) is a very fraught mystical concept, denoting the source of resurrection and regeneration, as well as an endocrine gland and a sprout. Jacob used “Luz” (almond) rods for “bioengineering,” to change the color of his sheep (Genesis 30:37-39). “Luz” is also the name of the blessed land of the immortals. “LUZ – Name of a city in the land of the Hittites [a territory restricted to the hills of Canaan-Israel or broadly referring to Anatolia-Asia Minor], built by an emigrant from Beth-el, who was spared and sent abroad by the Israelitish invaders because he showed them the entrance to the city (Judges i. 26). 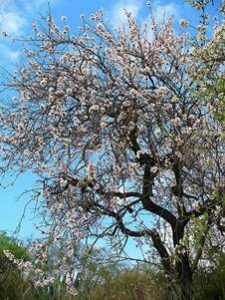 “Luz” being the Hebrew word for an almond-tree, it has been suggested that the city derived its name from such a tree or grove of trees. Winckler compares the Arabic “laudh” (“asylum”). Robinson (“Researches,” iii. 389) identifies the city either with Luwaizah, near the city of Dan, or (ib.iii. 425) with Kamid al-Lauz, north of Heshbon (now Hasbiyyah); Talmudic references seem to point to its location as somewhere near the Phenician coast (Sotah 46b; Sanh. 12a; Gen. R. lxix. 7). Luz is also “Aramaic name for the os coccyx, the “nut” of the spinal column. The belief was that, being indestructible, it will form the nucleus for the resurrection of the body. 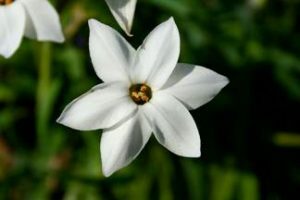 The Talmud narrates that the emperor Hadrian, when told by R. Joshua that the revival of the body at the resurrection will take its start with the “almond,” or the “nut,” of the spinal column, had investigations made and found that water could not soften, nor fire burn, nor the pestle and mortar crush it (Lev. R. xviii. ; Eccl. R. xii.). The legend of the “resurrection bone,” connected with Ps. xxxiv. 21 (A. V. 20: “unum ex illis [ossibus] non confringetur” – [one of those bones is unbreakable]) and identified with the cauda equina [horse tailbone] (see Eisenmenger, “Entdecktes Judenthum” [Judaism discovered], ii. 931-933), was accepted as an axiomatic truth by the Christian and Mohammedan theologians and anatomists, and in the Middle Ages the bone received the name “Juden Knöchlein” (Jew-bone; see Hyrtl, “Das Arabische und Hebräische in der Anatomie” [The Hebrew and Arabic elements in Anatomy] 1879, pp. 165-168; comp. p. 24). Averroes accepted the legend as true (see his “Religion und Philosophie,” transl. by Müller, 1875, p. 117; see also Steinschneider, “Polemische Literatur,” 1877, pp. 315, 421; idem, “Hebr. Bibl.” xxi. 98; idem, “Hebr. Uebers.” p. 319; Löw, “Aramäische Pflanzennamen” [Aramaic plant names] 1881, p. 320). In more recent times, Jewish thinkers have expressed an agreement with life-extensionist goals and with biotechnological interventions generally. Thus, as can be seen, the Jewish religious tradition is perfectly supportive of the pursuit of life extension, even radical life extension, perceiving it as a high manifestation of the valuation of life.18 Let the works of the Jewish tradition inspire more people to become enthusiasts (Hasidim) of the rational and scientific pursuit of the prolongation of human life, among Jews and non-Jews alike! Leon Kass, “L’Chaim and Its Limits: Why Not Immortality?” First Things, 113, 17-24, May 2001, https://www.firstthings.com/article/2001/05/lchaim-and-its-limits-why-not-immortality. The translation of the Talmud used here is English Babylonian Talmud, Rabbi Dr. J. H. Hertz, Rabbi Dr. I Epstein, et al. (Eds. ), Talmudic Books, 2012, http://halakhah.com/. Talmud – Masechet Yoma 82a; also Talmud – Masechet Yoma 84b-85b; Talmud – Masechet Sanhedrin 74a. “Pikuach Nefesh” (Saving a life), in Encyclopedia of Jewish Medical Ethics (Hebrew), compiled and edited by Abraham Steinberg, The Shlezinger Institute, Jerusalem, 1996, vol. 5, pp. 390-392, 404-406. “Tameh met” (unholiness of death), “Tumah” (unholiness), in Talmudic Encyclopedia. A Digest of Halachic Literature and Jewish Law from the Tannaitic Period to the Present Time (Hebrew), edited by Rabbi Meyer Berlin, Talmudic Encyclopedia Institute, Jerusalem, 1997, vol. 19, pp. 450-507. Talmud [Gemara] – Masechet Berachoth [Tractate on Blessings], 10a. The text used here is The Bible: New International Version, https://www.bible.com/versions. Rabbi Israel Meir Lau, Judaism Halacha Lemaaseh [Practical Halakhah]. The Oral Tradition (Hebrew), Dfus Pele, Givataim, Israel, 1988, pp. 370-371. Dov Schwartz, Messianism in Medieval Jewish Thought (Hebrew), Bar-Ilan University Press, Ramat-Gan, Israel, 1997, pp. 36, 105, 142-143, 218-219. Fred Rosner, “Moses Maimonides’ Responsum on Longevity,” Geriatrics, 23, 170-178, October 1968, reprinted in Fred Rosner, The Medical Legacy of Moses Maimonides, Ktav, Hoboken NJ, 1998, pp. 246-258, quotes on pp. 255, 258. Kaufmann Kohler, “Luz,” Jewish Encyclopedia, in 12 volumes, 1901-1906, online reprint, http://www.jewishencyclopedia.com/view.jsp?artid=635&letter=L. See also: Fred Rosner, Medicine in the Bible and the Talmud, Ktav, Hoboken NJ, 1995 (1977), particularly the articles “The Balm of Gilead” and “Therapeutic Efficacy of Chicken Soup,” pp. 132-139; James Joseph Walsh, Old-Time Makers of Medicine. The Story of The Students And Teachers of the Sciences Related to Medicine During the Middle Ages, Fordham University Press, NY, 1911, Ch. III “Great Jewish Physicians,” Ch. IV “Maimonides,” pp. 61-108, http://www.gutenberg.org/files/20216/20216-h/20216-h.htm. The International Symposium “Extended Life – Eternal Life,” Philadelphia, March 2000, www.extended-eternallife.org. Argumeny I Fakty (Arguments and Facts), 41/322, 2000, http://gazeta.aif.ru/online/health/322/z41_13. Rabbi Elliot N. Dorff, “Becoming Yet More Like God: A Jewish Perspective on Radical Life Extension,” in Religion and the Implications of Radical Life Extension, Edited by Calvin Mercer and Derek F. Maher, Macmillan Palgrave, New York, 2009, pp. 63-74. Society of Jewish Science, http://www.appliedjudaism.org/; Rabbi Morris Lichtenstein – Founder Society of Jewish Science, http://www.irenedanon.com/Rabbi.htm. See, for example: Prof. Yirmiyahu Branover, “The Immortality Enzyme,” Chabad World Magazine, 10/22/2009, http://www.chabadworld.net/; Rabbi Nissan Dovid Dubov, To Live And Live Again. An Overview of Techiyas Hameisim Based On The Classical Sources And On The Teachings Of Chabad Chassidism, 1995 , Ch. 10, “Life after the Resurrection,” http://www.chabad.org/library/moshiach/article_cdo/aid/2312363/jewish/To-Live-and-Live-Again.htm.